From North Woods to ocean harbors, lake cottage country to White Mountains peaks, New England is a wilderness of the best family vacation adventures. There are New England treasures to be found in the Top New England Family Resorts! Crack open Maine coast's gourmet lobster cuisine, take a lesson from Vermont's kid-friendly ski schools, take a dogsled twilight tour in Waterville Valley, New Hampshire, or sail away from the East Coast’s last all-inclusive sailing resort. A new family trip experience awaits you in the Top New England Family Resorts! Where first-class meets family-friendly, there's the Mountain View Grand Resort & Spa! 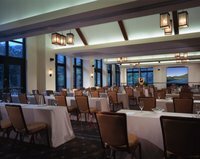 Putting a casual spin on New England elegance, this New Hampshire resort provides an unrivaled experience in the White Mountains. Revival style brings palatial perks to this AAA Four Diamond luxury hotel, state-of-the-art Spa, and one of the top 25 New England golf courses. Kid-sized luxuries are also found in number here, with an onsite theater, children's programs, pools, game room, and play area. Vermont's mountains reach a new height - the height of luxury at The Lodge at Spruce Peak! A favorite destination in any season, Stowe Mountain Lodge allows you to ski Stowe, indulge in the Spa or KidSpa, golf Conde Nast Traveler's #1 Course in the Northern U.S., and relax in Stowe Cabin classics, capturing even National Geographic Traveler's interest. Transfer your family trip to the extraordinary: Vermont's Stowe Mountain Lodge! The quintessential New England experience, perfected. Family vacations have never been easier than with a getaway at Sebasco Harbor Resort! Stay in a luxurious suite or enjoy the extra space of a well-equipped cottage. The kids are sure to love outdoor adventures such as canoeing or paddle-boating, or games of mini-golf and bowling. 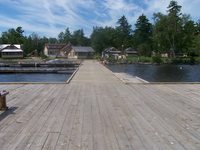 The resort also offers plenty of family specific activities such as campfire sing-a-longs, scavenger hunts, and cruises. No matter what you choose to do, Sebasco Harbor is perfect for reconnecting with your family! Authentic Maine vacations come from the Northern Outdoors. As Maine's premier adventure resort, Northern Outdoors can be found in the center of Maine's wilderness playground. Surrounded by resort-pioneered whitewater rafting, year-round hiking and ATV tours, fishing, hunting, and world-class snowmobiling. Private cabin rentals fort the family trip of your dreams, right next to riverside campsites, the Kennebec River Brewery, and enough adventures for all four seasons! Whatever season you visit, you'll find superb hospitality and incredible opportunities for fun at Cathedral Ledge Resort! Only two hours from Boston, Cathedral Ledge Resort is an ideal family retreat, full of luxury, tranquility, and plenty of fun. That fun begins and ends with the Resort's gorgeous natural surroundings! The White Mountains are ideal for hiking, river riding, or mountain biking, but if you want something a little more guided, head over to nearby Cranmore Mountain Adventure Park & Story Land. When you return you can cool off one of the onsite swimming pools or relax in the hot tub! Experience New England's only all-inclusive sailing resort: Linekin Bay. Where one-of-a-kind New England experiences call for an equally rare location. Linekin Bay Resort sits on 20 acres of Maine's Boothbay Harbor oceanfront! Get your sea legs and head for New England's best lobster-infused cuisine, all-inclusive lodging, kid-approved Kids Camp, and incredible sailing adventures. And discover the last all-inclusive sailing resort on the East Coast: Linekin Bay Resort! Take a stroll along the beach, sit down for a stupendously fresh meal, or relax on a private porch- Newagen is the perfect place for it all! Is there a more quintessential romantic retreat than the quiet seaside cottage? 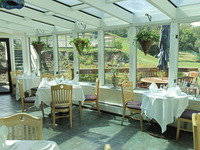 Newagen Seaside Inn doesn't believe so, and invites you and your partner to experience why! Every year hundreds of couples visit the Inn, looking for rustic hospitality and spectacular serenity. They easily find it. The executive chef onsite will prepare some of the finest seafood you've ever tasted, prepared with farm-to-table ingredients and loving care. It's as delicious as the experience! The happy camper point of view comes from Point Lookout Resort! Over 100 luxury cottages to pick from, its own bowling entertainment complex, miles of hiking trails, and private beach access provide Point Lookout Resort & Conference Center with an unforgettably fun and affordable Northpoint, Maine point of view. Start up a campfire and prep your best ghost story. And get the best view in Northport at Point Lookout Resort on Penobscot Bay, mid-coast Maine’s best New England family experience yet! The heart of New England's coastline lies at Meadowmere Resort. Specializing in affordable luxury vacations, at Meadowmere Resort you'll be living like Olde England royalty, in Ogunquit! Sample outstanding amenities, Southern Coast location, one of Ogunquit's finest gourmet getaway, and a favorite family resort for generations. Indulge in royal luxuries like an indoor Roman Bath, outdoor pool, stadium seating TV room, and award-winning health club and spa! Sample the best of New Hampshire from world-famous Naswa Resort. The Blue Bistro and NazBar & Grill have made a name for themselves with unbelievable New England chow. But Naswa's Weirs Beach and Lake Winnipesaukee setting don't hurt its Ultimate New Hampshire Resort Destination reputation! Find the New England family resort vacation beyond your imagination at Naswa Resort on Lake Winnipesaukee. 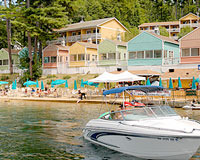 Lakeside cottages, suites, and AquaVista rooms will board your journey! Go ahead: try not to seem smug after your family trip to Smuggler's Notch Resort! At Smuggler's Notch, there is family-friendly everything! From mountain condo lodging with ski-lift or shuttle convenience, to unmatched skiing and snowboarding. While kids at Smugs experience the Funzone Family Entertainment & Rec Center as well as award-winning children's programs like Snow Sport University, custom-crafted lessons, and adaptive skiing and riding programs! Comprised of 42 guestrooms in five unique buildings between two distinct locations, Windrifter should be your next family destination! All of the Windrifter's rooms include fully-equipped kitchen areas, free wireless internet, DirectTV, and air-conditioning- AKA everything you could ever want from your family vacation accommodations. There dozens upon dozens of things to do, see, and experience nearby, but should you choose to just hang out at the resort you won't be sorry. There's an indoor pool, Fitness Center, saunas, games, tennis court and picnic areas- and that's not even mentioning the waterfront! Sixty acres of peakside paradise, Attitash Mountain Village Resort is your family fun center! More than 350 rooms, suites, townhouses, and trailside units provide plenty of space for your loved ones. A heated swimming pool, game rooms, tennis courts, and hot tubs provide onsite excursions while the breathtaking landscape offers a host of outdoor adventures. Hike or bike the tree-lined trails, enjoy river tubing or rafting, and explore mountain trails. In the winter, try downhill skiing! Waterville Valley Resort is your guide to Waterville Valley! Enjoy "activities included," the only necessary amenity for an exceptional New Hampshire family vacation! Besides attractive accommodations and any sports rentals you can imagine, the resort also outfits your New Hampshire experience with valley adventure. Try mountain biking, dogsled twilight tours, chairlift rides, or ice skating, and when the day's adventures are over, find a place to unwind at Waterville Valley Resort! Wilsons has been a Maine vacation institution since 1865- bring your family to experience a little bit of history! As the saying goes, Wilsons is the perfect place to do everything… or nothing at all! Your family will be treated to a smörgåsbord of fun, from the moment you check in. Most of the fun will be out out in Mother Nature- fishing, swimming, boating, canoeing, sightseeing, wildlife photography, moose safaris, four-wheeling, and even whitewater rafting on the Kennebec and Penobscot Rivers can easily be done! Your cozy cottage accommodations will just be the cherry on top of an unforgettable stay! Cod Cove Inn, perfectly located between the Pemaquid and Boothbay peninsulas, is the perfect place for a New England family vacation. 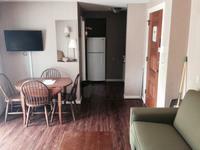 Cod Cove Inn in Edgecomb, Maine offers the privacy of a hotel with the warm, friendly atmosphere of a coastal inn. The inn is the perfect place for families who wish to explore Maine’s beautiful Midcoast region. The Inn features four acres of sweeping lawns and groomed gardens, a heated outdoor swimming pool, and 28 elegantly appointed rooms. You and your family will enjoy the free wireless internet, the deluxe continental breakfast, and the convenient central location. Become a New England pioneer. Head for The Birches on Maine's Moosehead Lake secluded on a 11,000 acre nature preserve. And see what real New England adventure looks like! Try your paddle at canoeing or kayaking. Trek the wilderness by hiking boots or mountain bike. Brave the snow cross-country skiing, snowshoeing, or snowmobiling. Or search for wildlife on a moose cruise or wilderness safari! Your rustic cabin or lodge outpost is in Maine's Great North Woods, at The Birches! If you’re looking for a great family getaway on the shores of Cape Cod, look no further than Ocean Edge Resort & Golf Club. Split into two “sides” (mansion and village), your family will love the variety. Parents can hit the links on the Jack Nicklaus-designed golf course, or check out the spa treatment room. Kids can head to the beach to look for oysters, or bike around the more 380 acres of resort property. Whatever they’re interested in, Ocean Edge can accommodate your family (and you)! Like a photography contest winner, the Mountain Club on Loon has captured the New England essence. White Mountain-view rooms, the Black Diamond Grille and Lounge, and Viaggio Spa and Health Club overlook the incredible Loon Mountain. While freshly groomed ski trails, zip-line adventures, and mountain bike tours to Franconia Notch are right outside your doorstep. See why Mountain Club on Loon holds family-friendly New England acclaim, in New Hampshire's White Mountains. 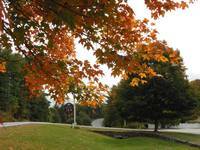 Make Maine memories at The Nonantum Resort! Overlooking the Kennebunk River, your family is just a stone's throw from a wealth of water-fueled fun. Your aquatic adventures include saltwater fishing, boating, and sailing. If you'd prefer to stay dry, catch a tan on the beach or hike through the lush nature trails. For some more urban adventures, enjoy the restaurants, shops, and galleries of Dock Square. After a fun-filled day, enjoy the luxuries of your lodge like private balconies and patios! Combine 60 acres of pristine mountain paradise with spectacular hospitality and you have Stoweflake Mountain Resort & Spa! Ideal for both relaxation and adventurer seekers, Stoweflake has a plethora of amenities, attractions, and fun to offer families both old and young. Toss your things into your pristine quarters and then toss yourself into tranquility at the onsite spa while the kids explore the glorious campus. Come winter, hop on the complimentary shuttle and head over to the Stowe Ski Area and historic Stowe Village for some downhill excitement and so much more!